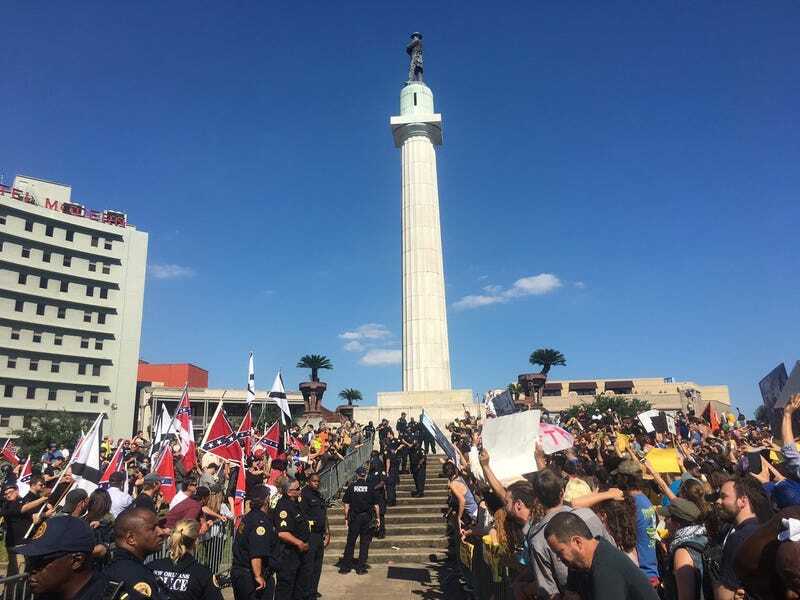 Lee Circle in New Orleans, about 45 minutes ago. I don’t think that monument’s supposed to come down ‘til tomorrow. I know we have some Big Easy GTers - stay safe!